If you are looking for exterminators in Newton, Big Blue Bug Solutions is the company you are looking for. 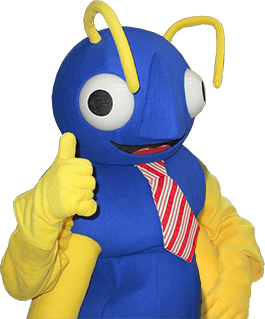 Big Blue Bug Solutions has been delivering quality service and practical solutions for residential and commercial pest problems. In business for 80 years, Big Blue Bug Solutions provides a variety of pest control services. Whether you are having a problem with ants, cockroaches or even stinging insects, Big Blue Bug Solutions takes great satisfaction in a job done correctly. Our promise to you is your pest problem will be eliminated. For homeowners in Newton, pest control can often be a frustration. Big Blue Bug Solutions offers a Home Owner’s Policy, or HOP for short, that provides protection against a wide range of common house pests. We have been a family owned and operated business for over 80 years. Our trained technicians have experience with pests such as: carpenter ants, mice, centipedes, crickets and spiders. Protection for your home is done in three visits per year, preventative treatments and monitoring of vulnerable areas. If you discover any pest activity in between visits, we will come back for free! If you want to know how to get rid of spiders, ants, cockroaches or any other kind of insect or rodent that may be bothering you, contact us today! As exterminators in Newton, Big Blue Bug Solutions offers effective termite treatment. Termites do about 5 billion dollars in damage per year in the Unites States. You may have a colony in your home with no visible signs. Termites are masters at staying hidden. They do all their damage in the walls, floors and foundations of your home. They are literally eating the wood in your home. Big Blue Bug Solutions uses a product that is injected into the soil to destroy the colony. We provide a one year termite warranty that can be renewed annually and transferred to a new owner should you sell your home. Big Blue Bug Solutions is serious about termites. Learn more here! Mosquito and tick control has become a hot topic for many home owners. Both pests are not only a nuisance but can also be serious health hazards. Mosquitoes and ticks can transmit harmful bacteria and viruses through their bites. Protecting your family from infections such as Lyme disease, transmitted by deer ticks and viruses like West Nile Virus, transmitted by mosquitoes, is definitely a concern for most families. During the beautiful spring and summer months, our use of backyards for grilling, family get-togethers and other outdoor recreation can increase our exposure to these pests. Big Blue Bug Solutions offers Newton area family’s effective mosquito and tick control. Our exterminators in Newton can reduce biting mosquito populations by as much as 90% for the entire season! Whether you need an on-going program or a solution for a specific event, such as a wedding, Big Blue Bug Solutions will be able to deliver.